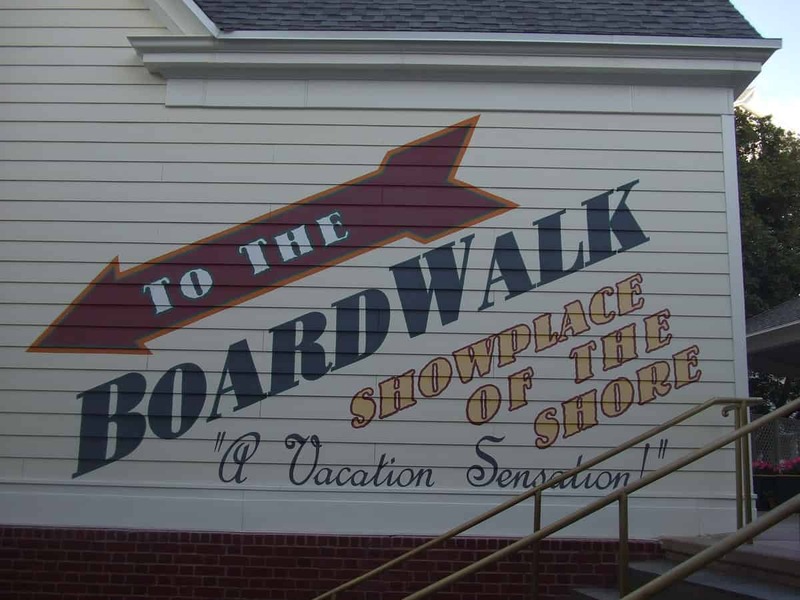 Getting to the BoardWalk is easy. 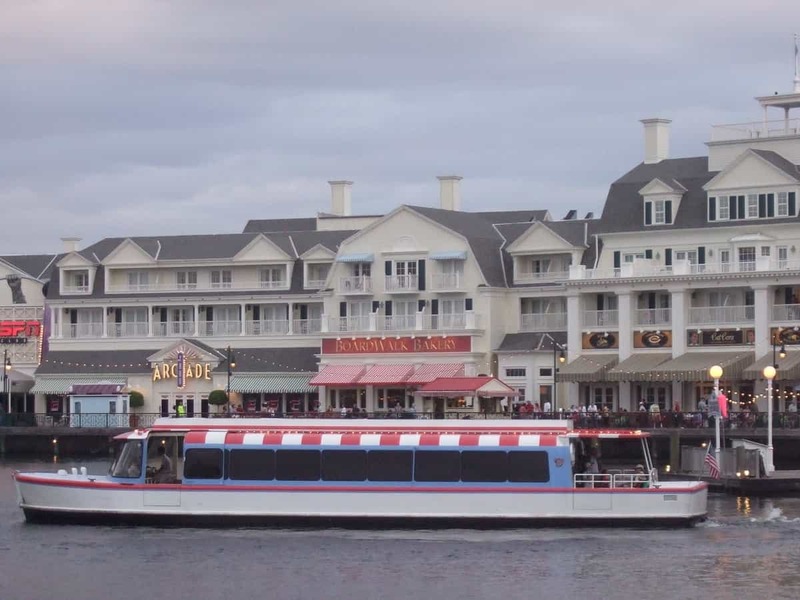 If you are using Disney transportation, just take a bus, which should be marked “BoardWalk” or “Epcot Resorts”. 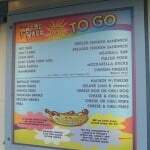 If you have any questions, always ask the driver. 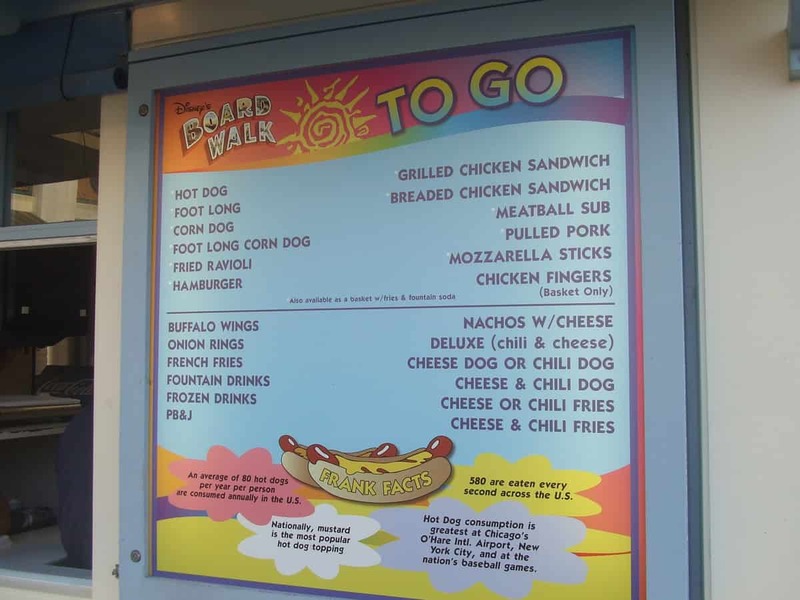 If you are driving there yourself, simply follow the signs to “Epcot Resorts” once you’re on Disney property. 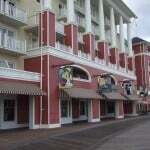 The BoardWalk is located at 2101 Epcot Resorts Boulevard, which is off of Buena Vista Boulevard. 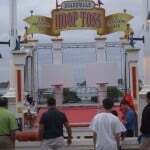 The entrance is across the street from a Speedway gas station. 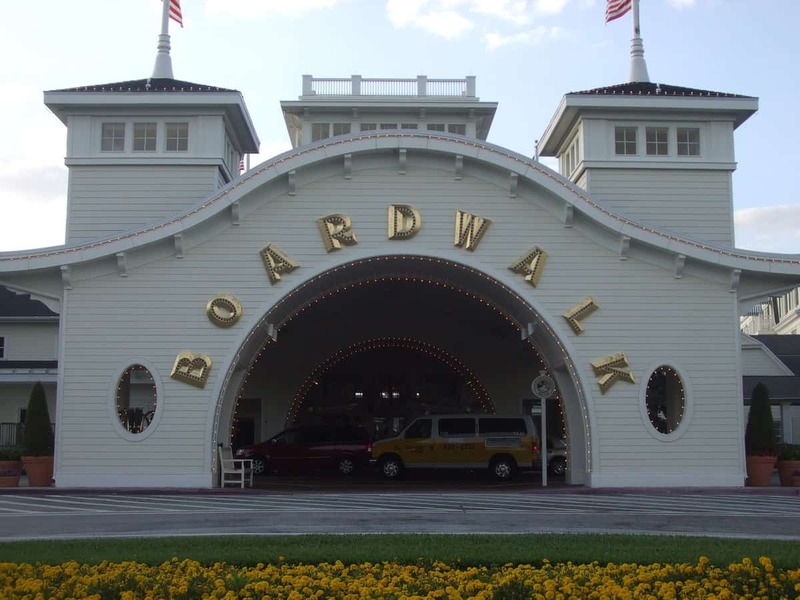 There is a security booth, so simply show a picture ID and tell the guard that you are going down to the BoardWalk. 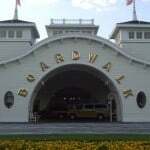 He or she will show you where to park for self-parking, and valet parking is also available. 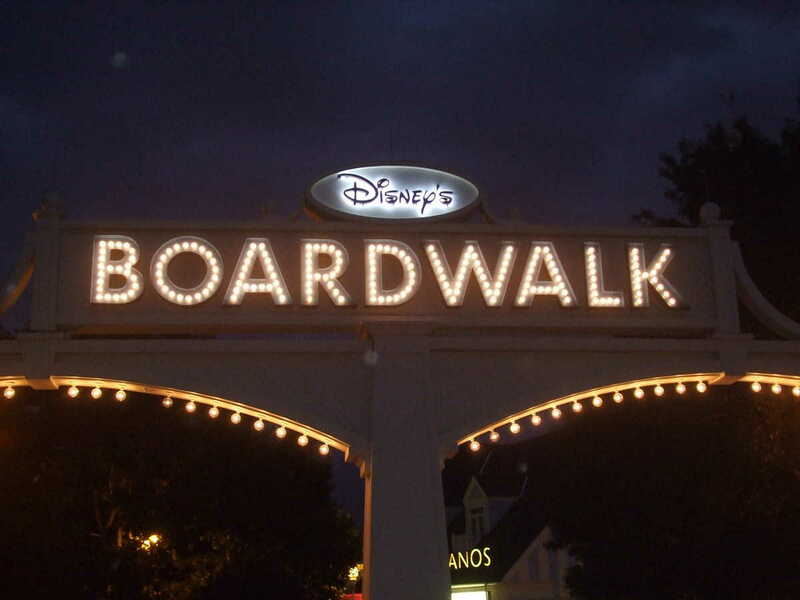 Walk towards the hotel, and you’ll find the stairs to the BoardWalk clearly marked to the right of the main entrance. 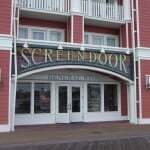 There is also an elevator inside the hotel. 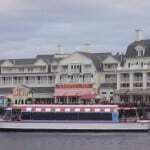 The World Showcase entrance for Epcot is a short walk or boat ride away, so it’s a good escape from the hustle and bustle of the park. 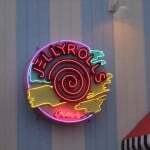 You can also catch a boat to Disney’s Hollywood Studios, or take the 20-minute walking path just past Jellyrolls. 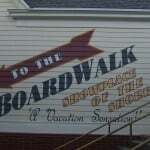 Surrey bikes are available for rental to ride around the lake, but be warned: There are two hills along the path. 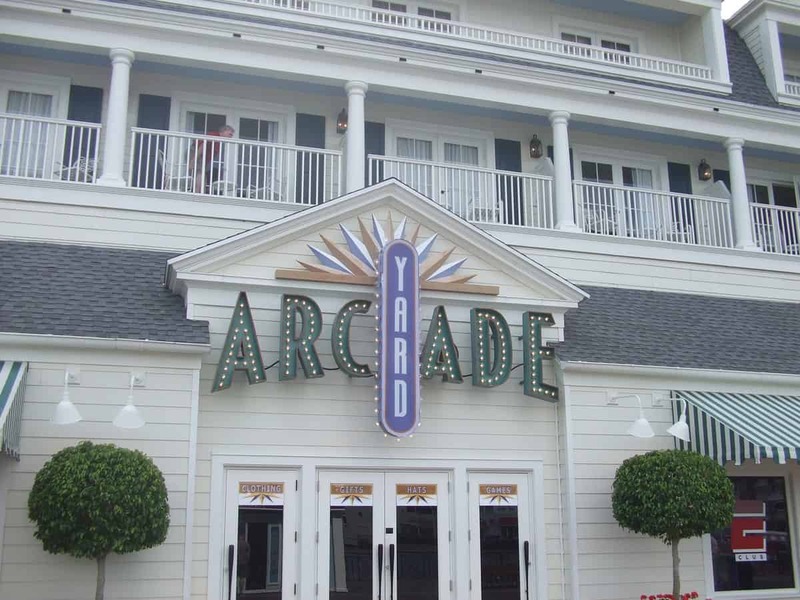 If you want to just hang out for awhile, ESPN Club has an arcade, and better-than-average theme restaurant fare. 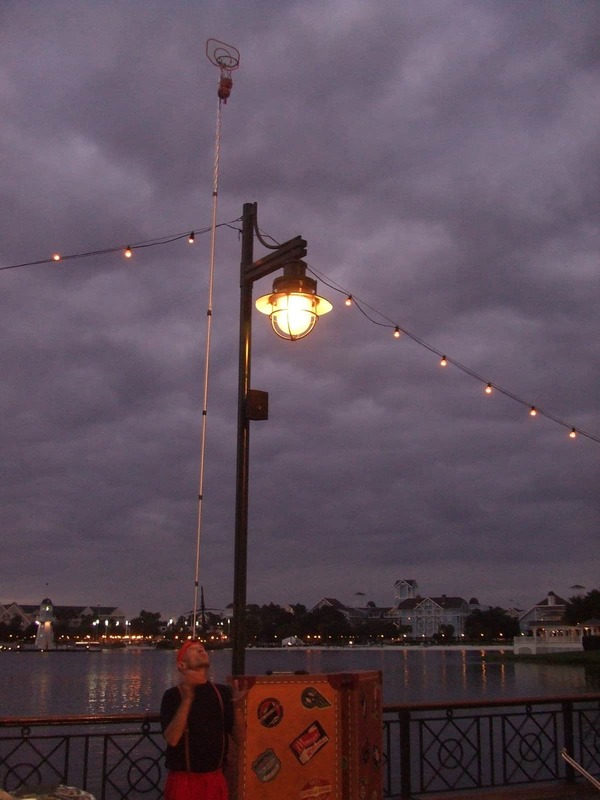 The best time to visit Disney’s BoardWalk is in the evening when the area comes alive. 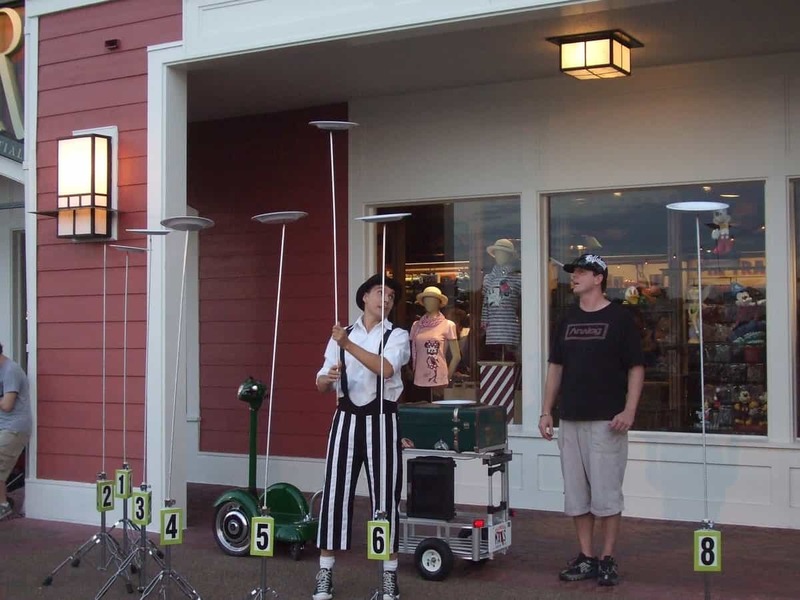 Try your luck at a game of chance and skill and possibly win a prize. 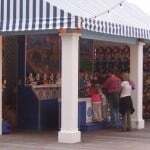 Enjoy a funnel cake. 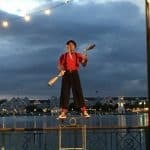 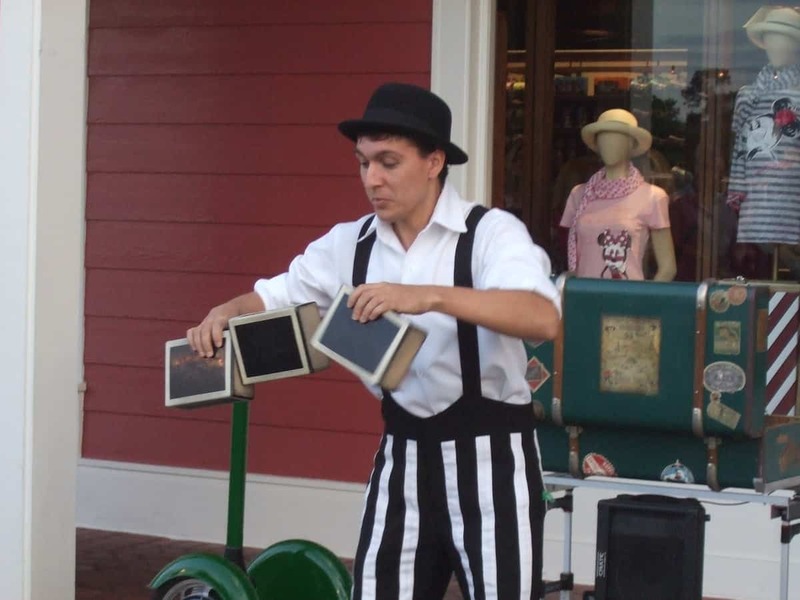 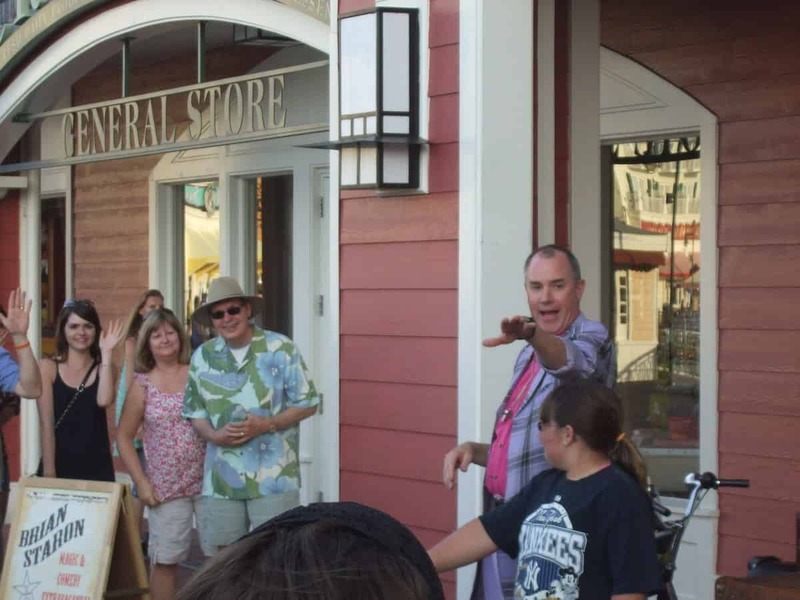 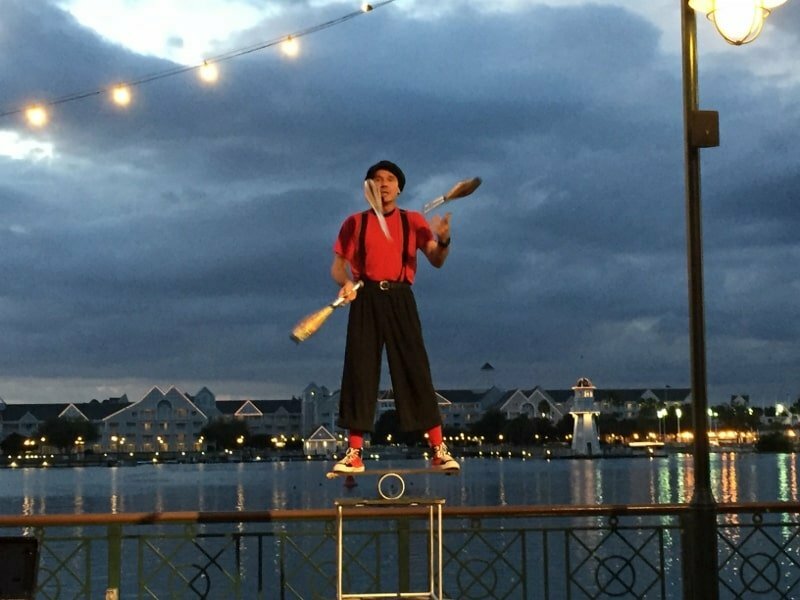 From 7:00-10:00 each evening, the BoardWalk’s street performers come out to entertain you; These performers are hand picked by Disney and the best in the world at what they do, while offering free shows that are appropriate and fun for all ages. 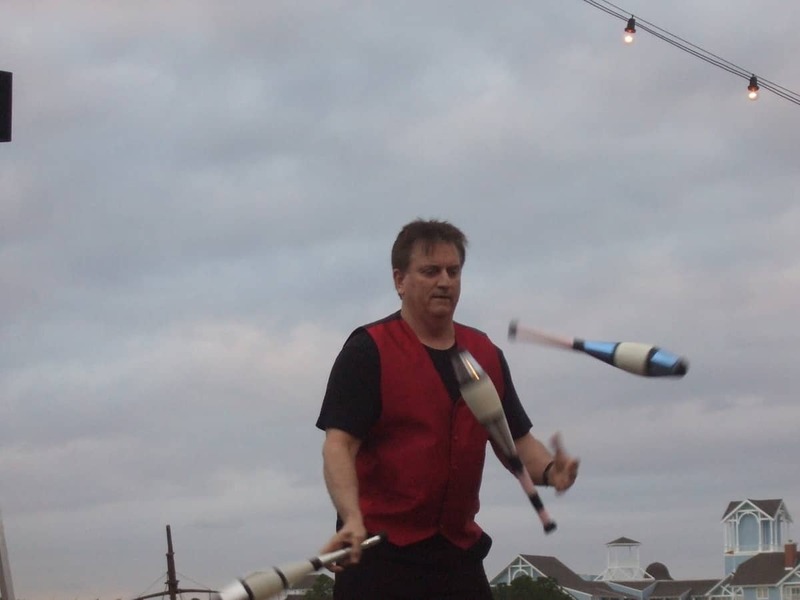 There are three performers most nights with shows at two different locations — one in front of the Flying Fish Restaurant, and the other by the Screen Door General Store. 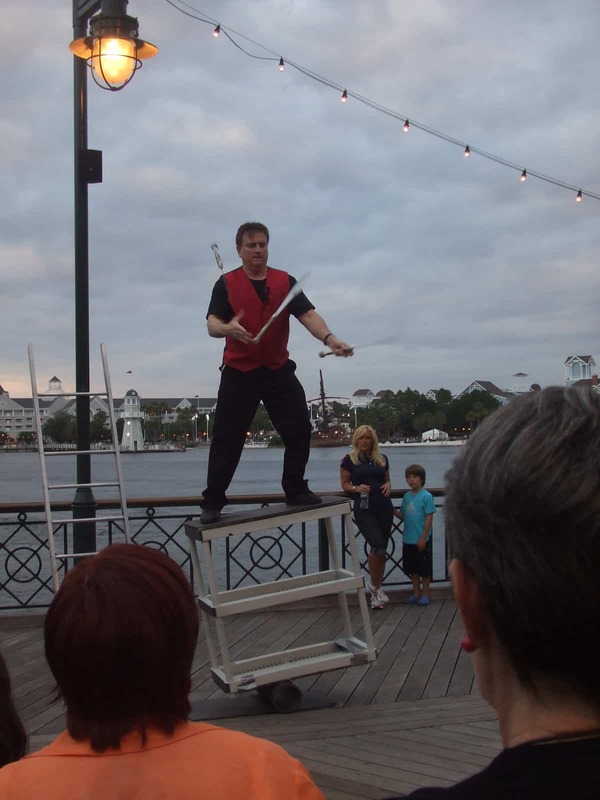 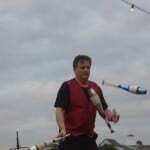 You could see juggling, magic, a plate spinner or even occasionally a sword swallower. 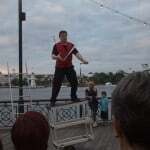 All of the performers are unique and will leave you amazed. 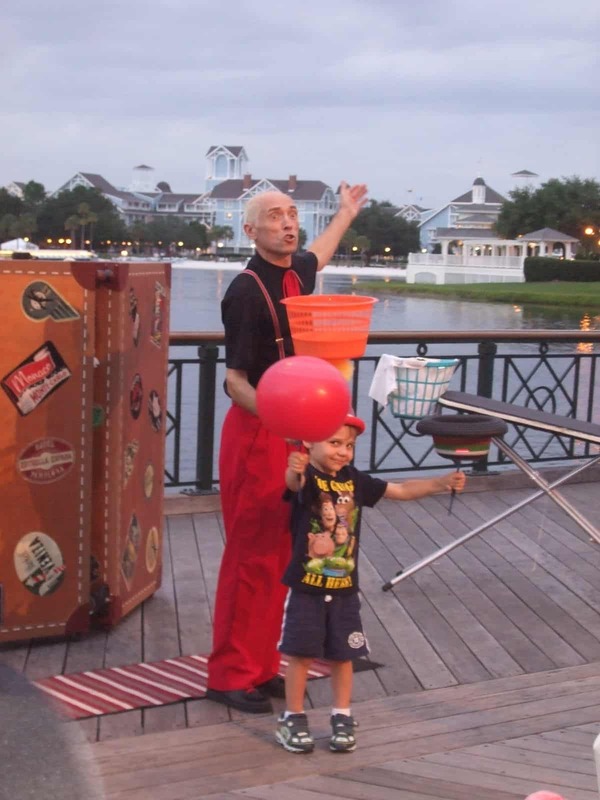 Most nights there is a ring of children sitting in the front, and your kids will have a blast. 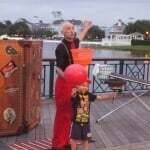 (Make sure that you keep an eye on your children — it is not a baby sitting service.) 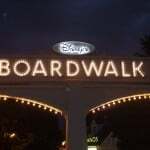 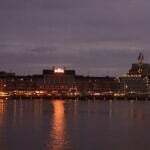 If it rains or the temperature is too cold, the shows will instead be performed inside the BoardWalk Hotel — one in the lobby and the other near the elevator. 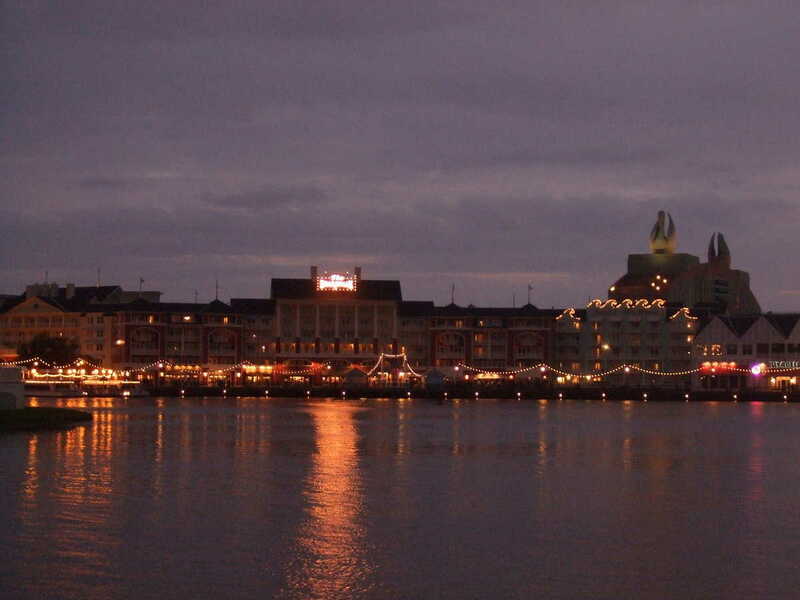 Disney’s BoardWalk also offers a great view of the fireworks from IllumiNations at Epcot. 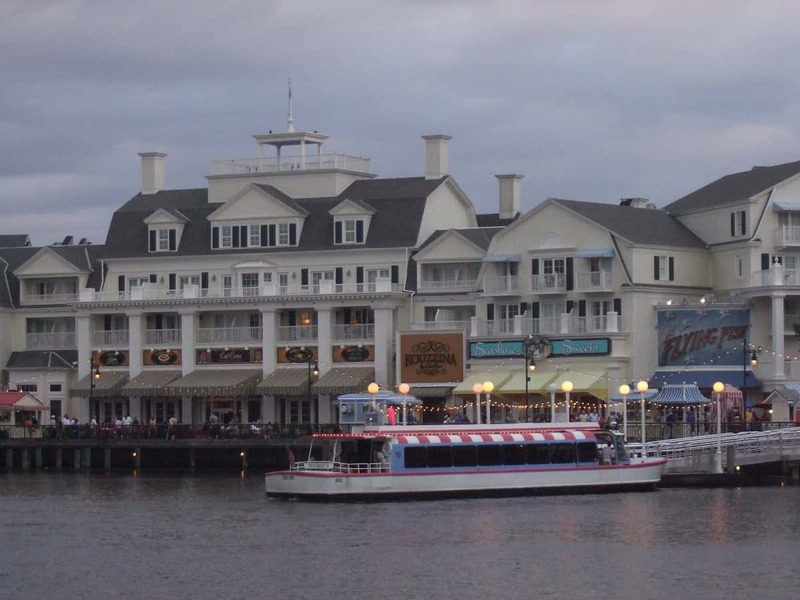 Head past the ESPN Club and grab a spot on the bridge. 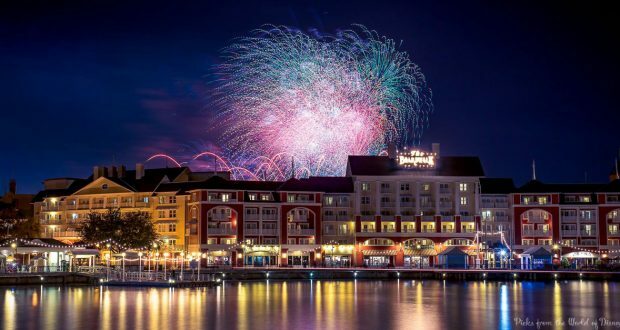 The fireworks start around 9:00pm except during the Christmas season, when they start at 9:30. 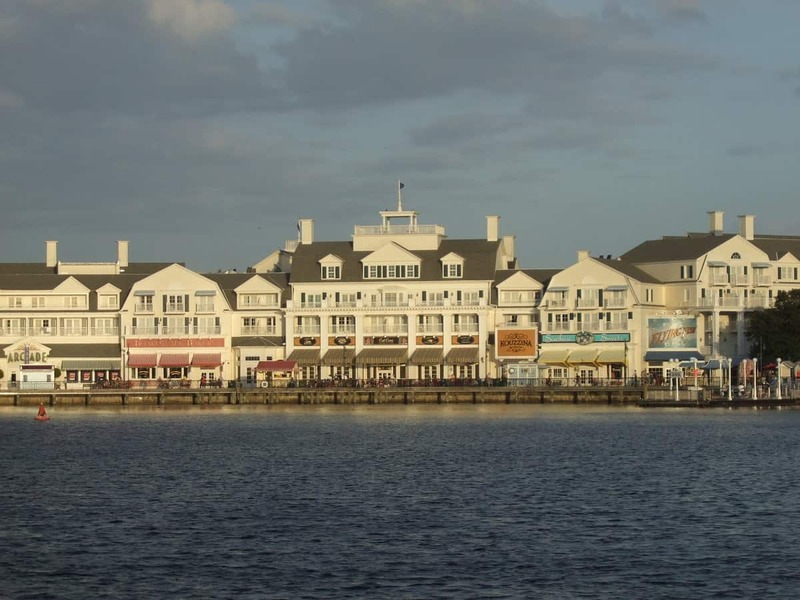 There are a few shopping options at Disney’s BoardWalk. 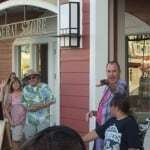 Wyland Galleries offers marine sculptures and other art by environmental artist Wyland. 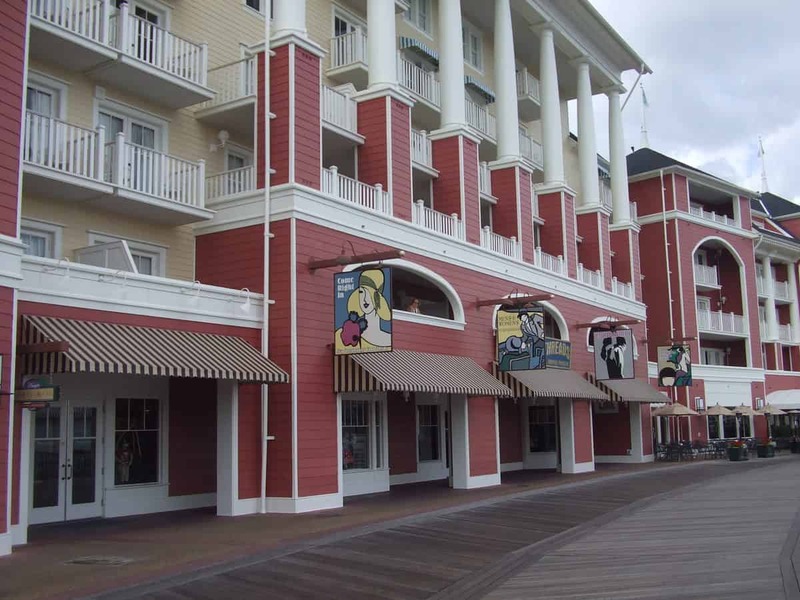 BoardWalk Character Carnival sells Disney themed sports items, housewares and other souvenirs. 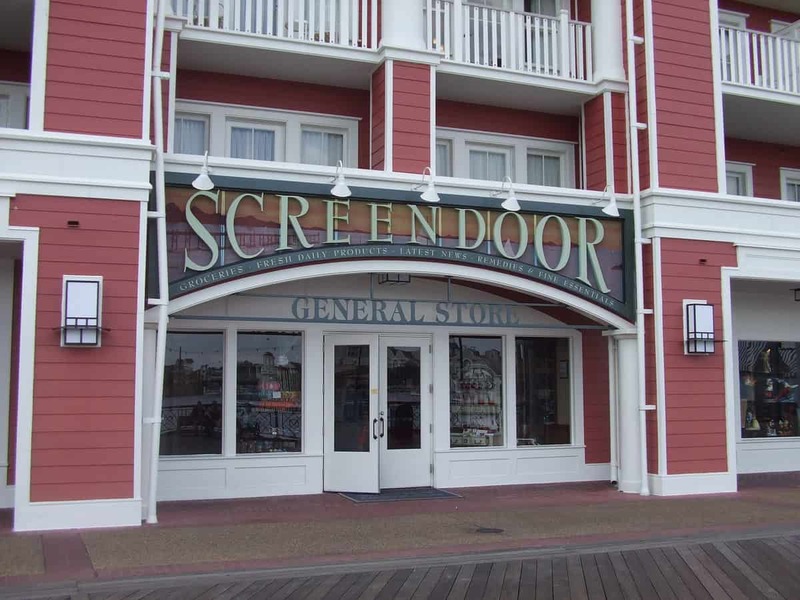 The Screen Door General Store has groceries (they are expensive), and they have a little bit of everything when it comes to souvenirs. 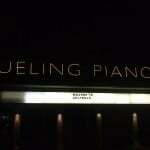 It’s a good place to stop when you’re not sure what to buy for someone back home. 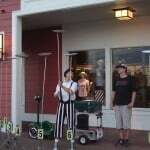 Thimbles & Threads is where you will find apparel. 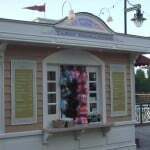 The selection isn’t huge so don’t expect to find something there that you saw in the parks or at World of Disney but didn’t pick up. 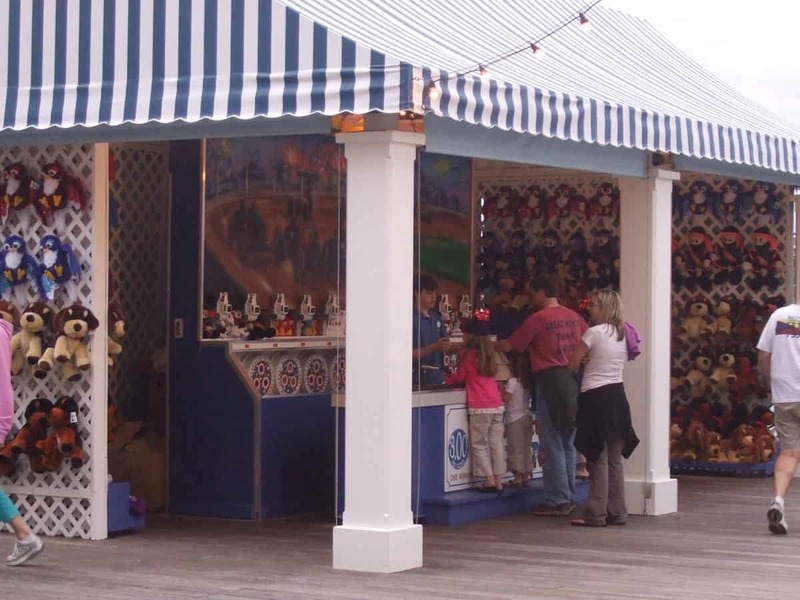 (The Screen Door, Character Carnival and Thimbles & Threads are connected to each other.) 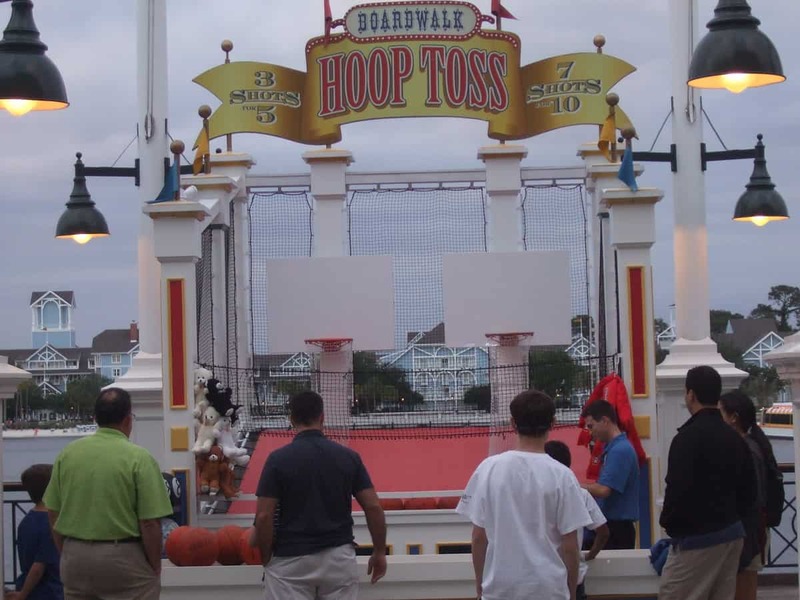 You can also buy sport related items at ESPN Club Store – ESPN The Yard. 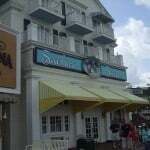 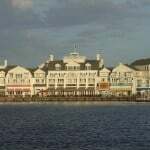 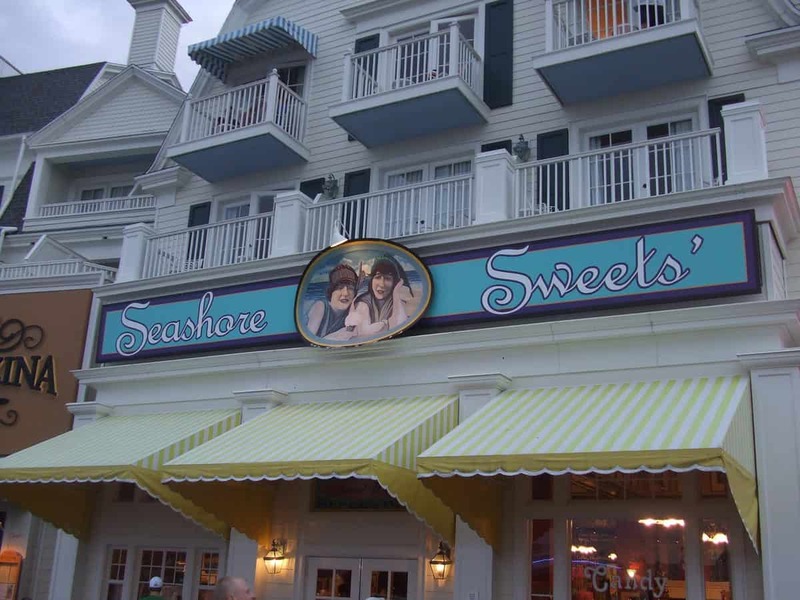 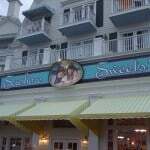 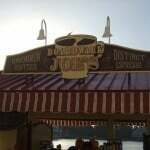 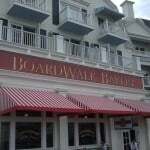 Disney’s BoardWalk has restaurants to suit all tastes and budgets. 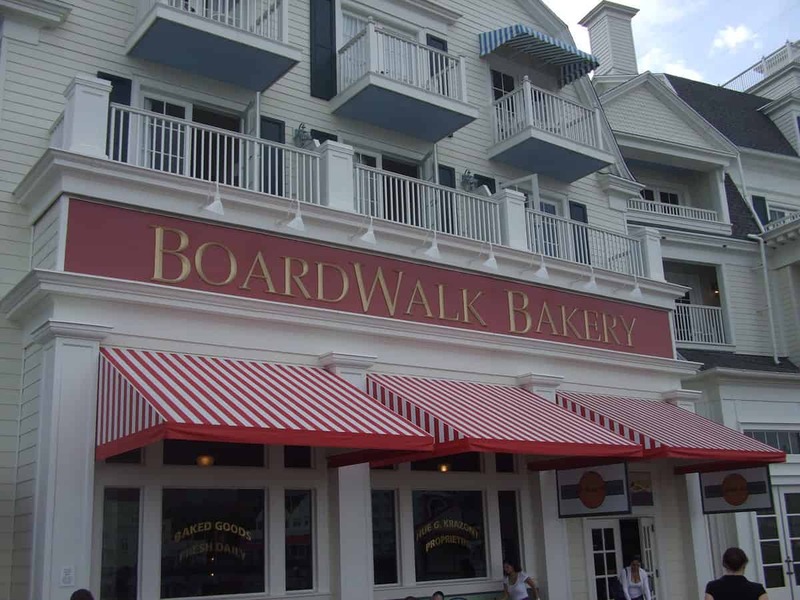 Enjoy some some sweet carbs from BoardWalk Bakery or visit Ample Hills Creamery which offers a great variety of classic and unique ice cream flavors. 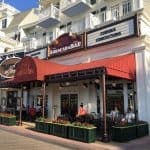 If you want a quick bite, the aptly named Pizza Window sells whole pies or by the slice. 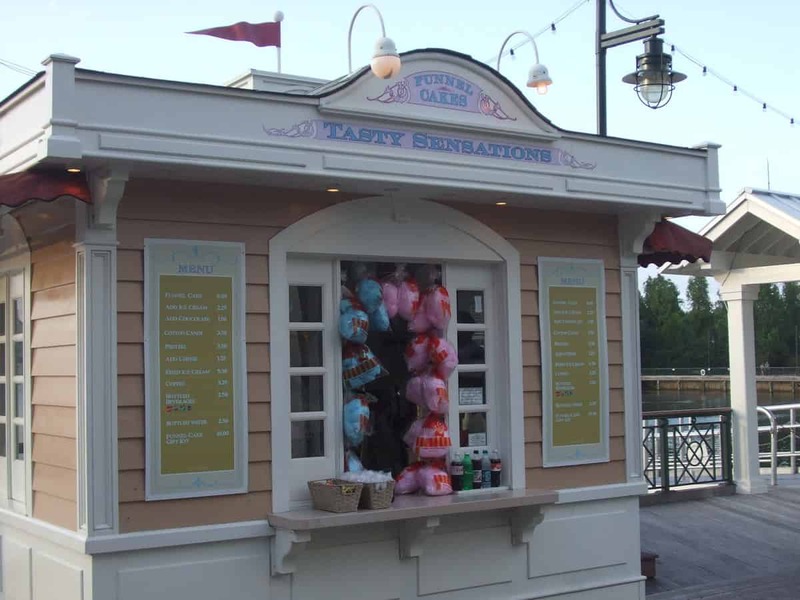 Other quick food options include Tasty Sensations, which features funnel cake and cotton candy, and Disney’s BoardWalk to Go, which offers hot dogs, sandwiches and the like. 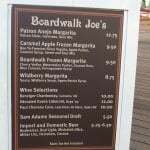 BoardWalk Joe’s has various coffees and also serves margaritas, wine and beer. 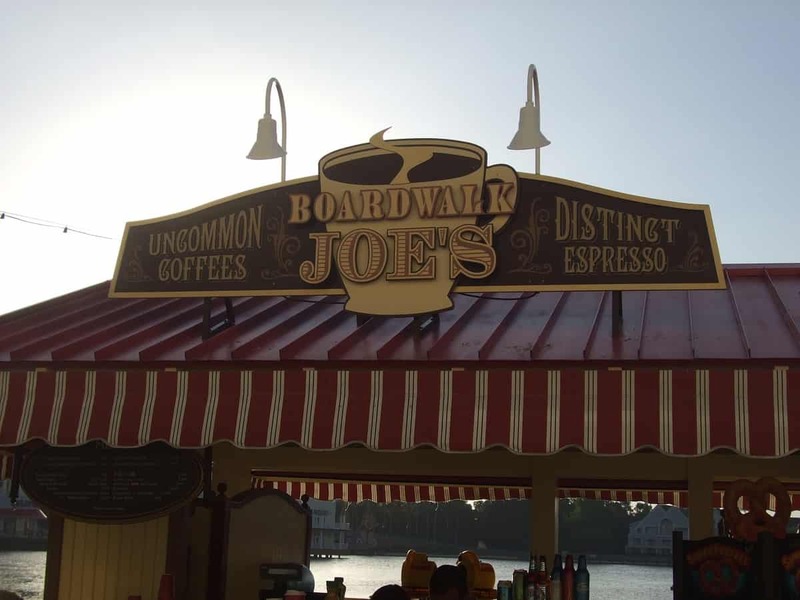 Disney’s BoardWalk also has several full-service eating options. 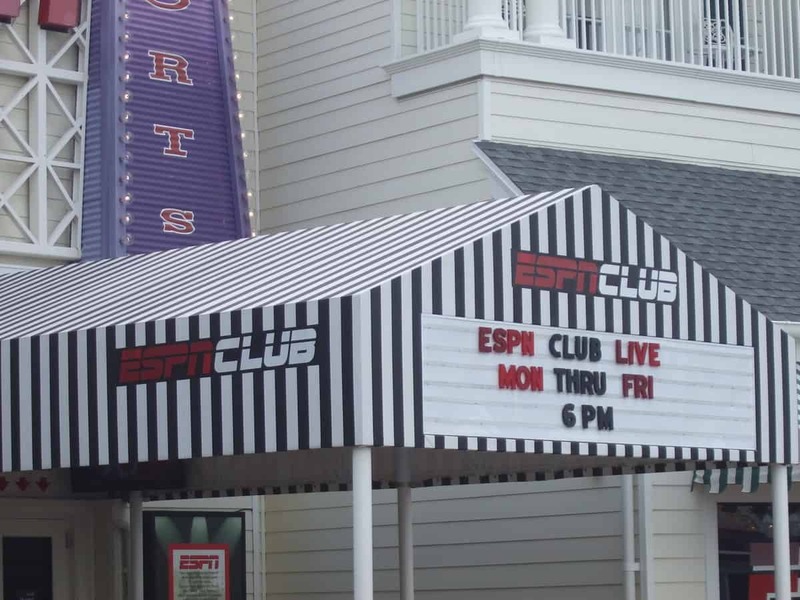 ESPN Club is a great place for lunch or dinner, or to get a drink at the bar while watching a can’t-miss game. 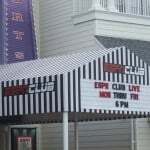 ESPN Club does not accept reservations and gets crowded in the evenings, especially on the weekends. 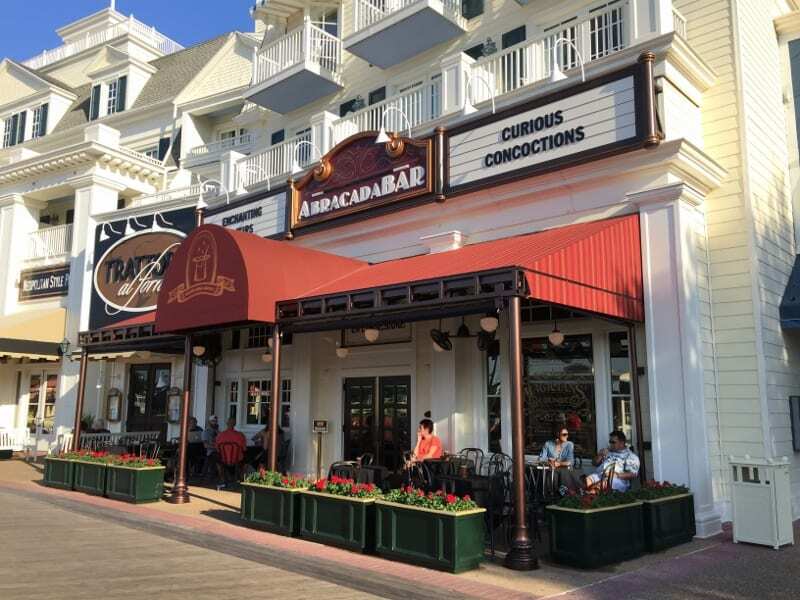 If you’re at Walt Disney World on Super Bowl Sunday, this is the place to take in the game. 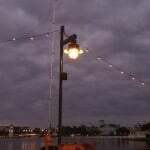 Big River Grille & Brewing Works has it’s own brewery, but it is still family-friendly, and offers salads, sandwiches and pub favorites. 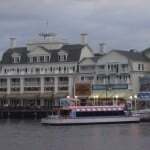 Dine inside or enjoy the view of the lake. 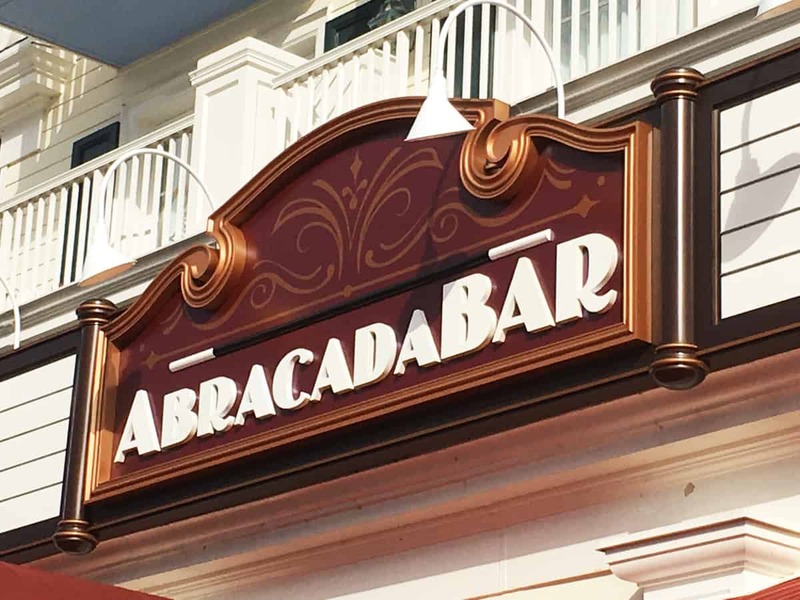 Trattoria al Forno serves amazing Italian food for during but is also well known for their Bon Voyage character breakfast feature Rapunzel, Flynn Rider, Ariel, and Prince Eric. 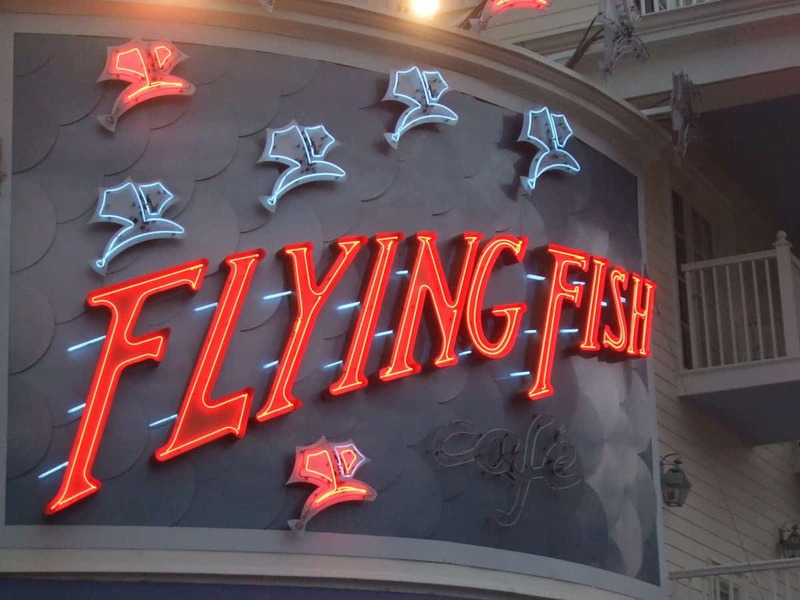 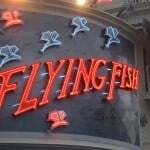 Finally, The Flying Fish Café offers a signature dining experience. 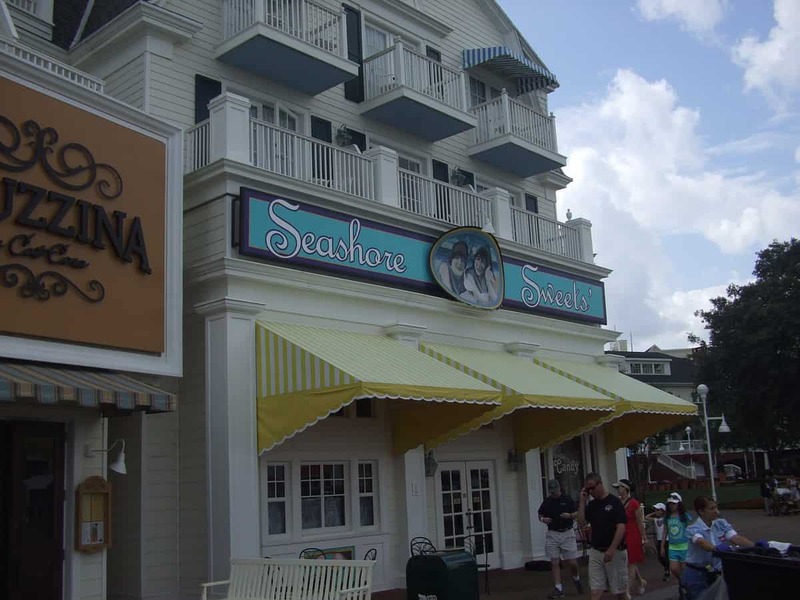 Open only for dinner, the seafood restaurant features an onstage kitchen so you can watch as the food is prepared. 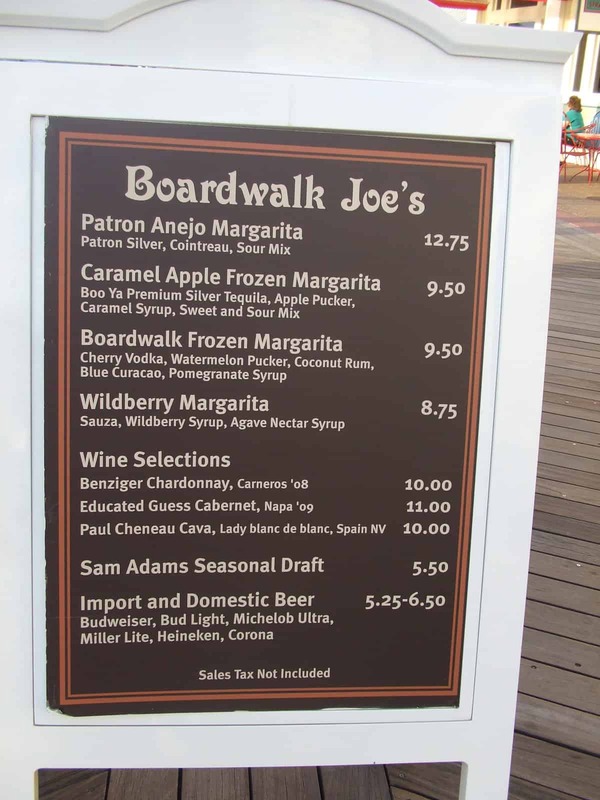 For those 21 and older, Disney’s BoardWalk provides evening options. 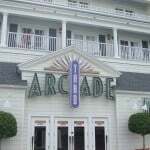 Two popular entertainment options are usually open from 9:00pm-2:00am most evenings, although special events can occasionally alter the schedule. 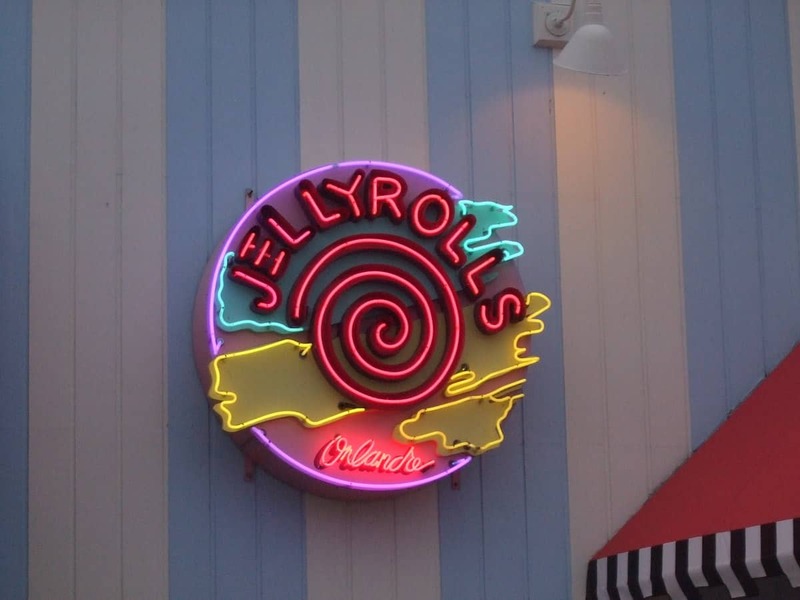 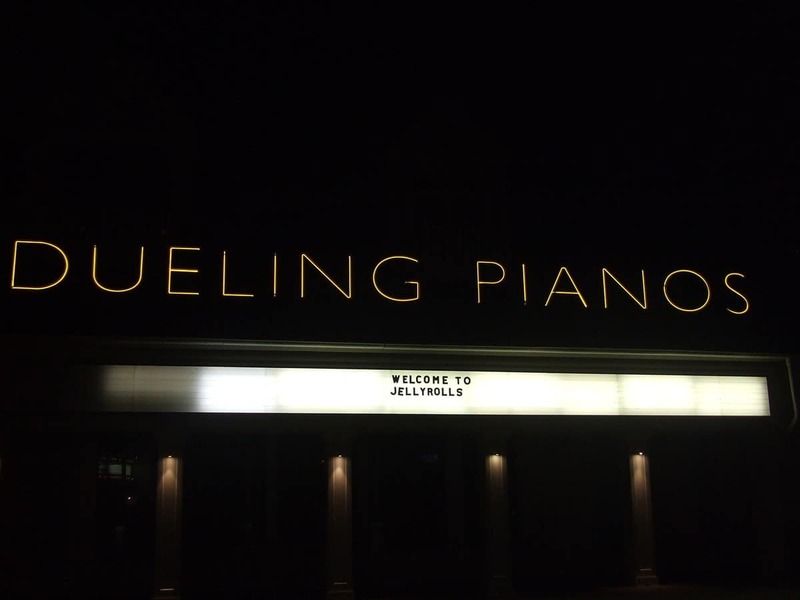 Jellyrolls is a unique club featuring dueling pianos where guests try to stump the maestros. 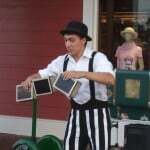 There is a cover charge. 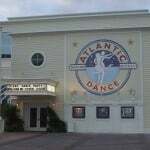 Atlantic Dance Hall has live music or a DJ most nights. 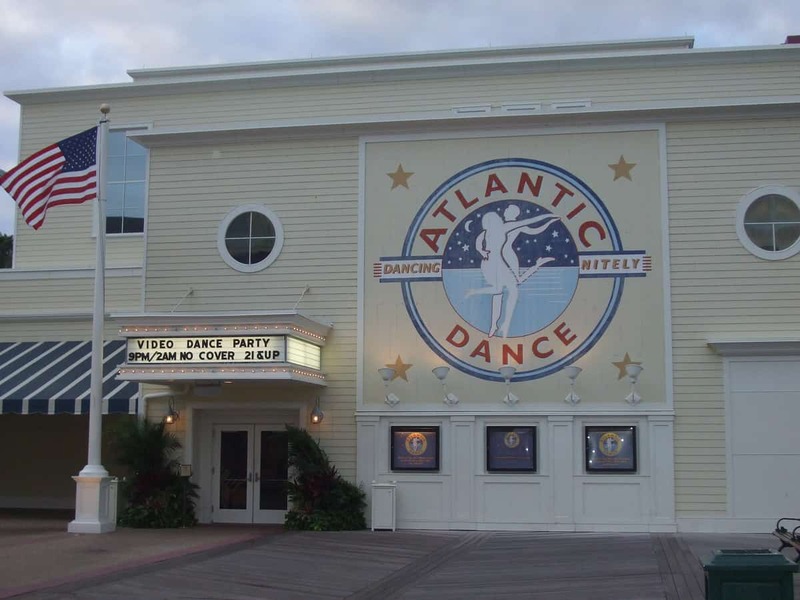 It’s a place where you can dance the night away and there is no cover charge. 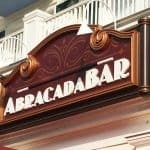 Visit AbracadaBar while you’re at it for fantastic drinks in an amazing themed lounge!